Do you struggle to find ways to make a living from your work? Patreon is a platform that empowers you to attract patrons who help to fund you on an ongoing per/piece or per/month basis. What this means is that once you have enough patrons, you can stop worrying about how to make a living and just focus on creating things! 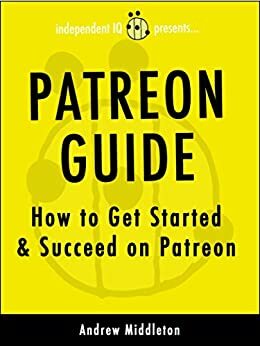 This book, Patreon Guide: How to Get Started & Succeed on Patreon, will help you get started on Patreon and empower your journey toward creative and financial independence! Download this Patreon guide now and get started on the path towards creative and financial independence! I didn't get a sense of what the experience is for patrons, and how that experience could be changed. Would there be sticky posts at each level that would stay as the first post, that people would read first? How could I vary the experience at each level? would there be sidebars? Very few examples were pointed to of how differently different artists showed their work, at different levels, and those examples duplicated what the site shows. I felt I was left feeling very foggy about what was involved, for creators and patrons. Nothing really wrong with this book but it's really outdated now. That's not the book's fault--a lot happens in two years in the tech world. It would be nice to read an updated version. Great reference for folks just getting started. The book is a quick read, you can begin applying Andrew's advice immediately. 5.0 out of 5 starsVery helpful information! 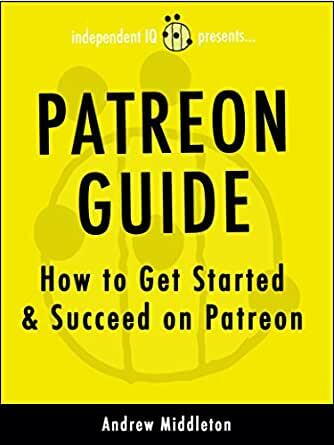 I would recommend this book to anyone just getting started on Patreon. Very clear and concise information that walks you through the process.